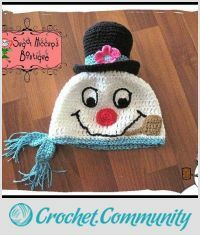 This interview, with http://crochet.community/sugarhiccupsboutique, is from January, 2015. 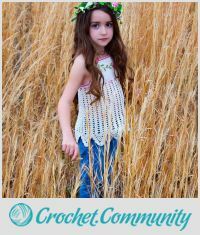 I learned to crochet the summer when I was nine years old. I was at my Aunt’s house and my cousin, my brother, and I were waiting to go swimming, but my aunt had just put chemicals in the pool, so it would be a while before we could go in. We as kids were definitely impatient, and we were nagging my aunt about how much longer it would be before we could go swimming. She obviously got tired of hearing us, lol, and she gave each of us a crochet hook and a skein of yarn. 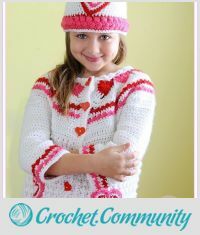 She showed us how to make chains, single crochet, and I believe even double crochet. I am the only one that continued with it. It wasn’t until several years later that I really started to make garments with crochet, I was around seventeen years old, and I have been crocheting ever since. I used to have people tell me that my crocheting was very good and I should sell my items. I was just crocheting for family and friends at the time. Then, in 1995, I had a friend approach me and tell me about a boutique owner in Wrightwood, CA, which is in the middle of a ski resort town, who sold things in his shop similar to what I make; she then set up an appointment for me to meet him. He asked her to have me bring a few items already made that I would be willing to sell if he liked them. I took the trip to Wrightwood, and he saw my finished garments, then told me he had never seen such quality work before, and asked me where I hid my threads. I just laughed, and he bought everything I had with me, and put the items in his shop for sale. He started ordering from me, and at that point, I didn’t have to purchase yarn anymore to make the garments for him, he just paid me for my time. It just so happened that he also sold yarn in his boutique, which spanned about 3 or 4 stores wide, and he gave me all the yarn I needed for each item he ordered, and then some. I sold to him for a very short time, as it was very time consuming. 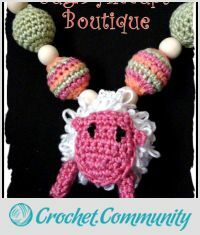 But, I continued to crochet things as gifts for family and friends, and even sold a few items to friends at church. Then, in 2003, the eBay internet world opened up for me, and through a friend that I met, I got into the world of eBay boutique designer groups. I have been involved in those types of groups as well as opening an Etsy shop; then Facebook groups started up, and I have been selling on those groups and in my own Facebook group ever since. I have been selling my finished garments for several years, and this past year I decided not to sell my finished garments any longer. I still have customers who ask me to make items for them, but I made the decision to slow down and take more time for my family. I may open up my shop again for sale at some point in time, but for now I am content to just design patterns for both crochet and knitting garments in my spare time. 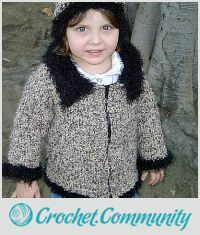 I sell my patterns online on a few different sites like Etsy, Ravelry, Craftsy, and YouCanMakeThis.com. Then, I went to a local yarn shop and purchased some yarn, (we didn’t have Walmart in our area back then), and purchased a couple patterns. I had never read a pattern before, so I learned to read patterns on my own, and started making things with them, albeit with lots of errors at first, but after a while, I got the hang of it, and made a lot of gifts for people that I knew that were having babies. From that point on, I decided never to buy a baby shower gift again. I know all you crocheters totally relate! I crocheted bikinis for some models to wear on the runway, and it was a pretty fun experience! I got to meet Moon Zappa, took a couple photos with her, and she thanked me for participating in her show. 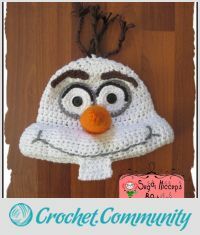 It was a real highlight of my crocheting life! Gauge is EVERYTHING when it comes to making a garment. I remember when I was seventeen making a crochet pineapple sweater and it turned out several sizes too small. 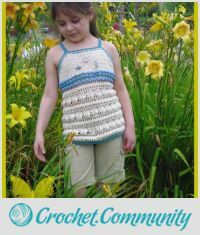 So, I guess my greatest challenge when it came to crocheting and knitting garments to wear was understanding gauge. Once I was able to do that, I could make anything from any pattern, and it really made it so much easier to write patterns also. 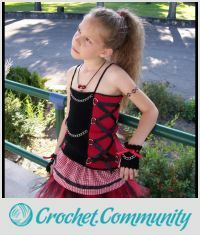 The ability to create awesome garments for people, and to unleash the designer in me that has always wanted to create. I love hearing when someone appreciates what I have made for them, whether it is a customer, family member, or friend…it is very pleasing to me to know they enjoy it! I’m so glad that I did .. .a wonderful story! This was fun to read, Heather. You’re a real professional! I enjoyed reading your story and look forward to all your projects presented here. Great story. I love that you stand by your love of creating without letting others influence you into doing what you do not want to do. I understand this so well. I almost quit at one time, until I decided that I had to make what I wanted and stop listening to everyone else. Thanks for sharing.